It’s difficult to overstate the impact Thelonious Monk had on jazz. One needs to only look at the list of musicians he performed with over the years to understand just how vital he was to the genre. It’s a virtual who’s who of the style’s giants – Art Blakey, John Coltrane, Miles Davis, Sonny Rollins, Dizzy Gillespie, Charlie Parker and Buddy Rich, just to name a few. He stands as a towering figure in modern music, performing for more than 30 years and inspiring virtually every jazz artist since he first hit a key. So, it would be difficult for an author to not produce a compelling story when presented with such a rich and fertile subject. However, Leslie Gourse somehow found a way to not find a story. Leslie Gourse’s “Straight, No Chaser” provides a clinical, scholarly look at one of the giants in the history of jazz. 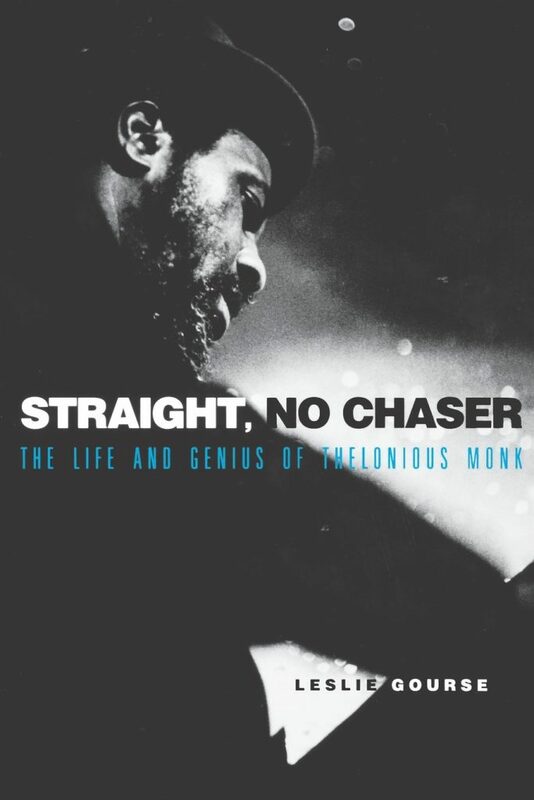 “Straight, No Chaser” sets its goal in the author’s note: “…to tell the story of Monk’s life and shed light on his genius and the creation of his unique sound.” Gourse presents all the pertinent information. She cites all her sources. She conducted personal interviews with many of the most important people in Monk’s life that was still alive when she undertook this process. Still, she fails to ever really put together a cohesive narrative and seemed to be more concerned with compiling lists than actually diving into who this incredible artist was. That’s not to say that the exercise was completely worthless. There are lots of compelling scenes within these pages. The sessionography alone, which details every known recording session Monk was a part of, is worth the price of admission. The book is academic to a fault. Information is presented rather than a story being told. Much of the book consists of listing the musicians at certain performances or rehashing previously published interviews. Admittedly, Monk’s penchant for long periods of silence and deep introspection would make it difficult to ever really know what he thought about any subject. However, the opportunity with a book like this is to contrast the artist with the man. When a musician has no interest in talking about his art, the role of the critic/documentarian becomes one of connecting the dots between his output and influence. As someone that has always been intrigued by Monk’s music, but lacked the necessary perspective to wade too deep in those waters, I was hoping for a more philosophical look into his work. I’m not really sure of the intended audience here either. For lack of a better word, the approach is very clinical. Perhaps another book exists that better delves into the deeper issues. In many ways Gourse’s work feels like a companion piece to something else – whether it’s the discography itself or some other telling of the story. Personifying a myth is always difficult. Monk left behind such a wealth of recorded material, perhaps the written word just cannot do his story justice. Maybe the story lives only within his chords and melodies.